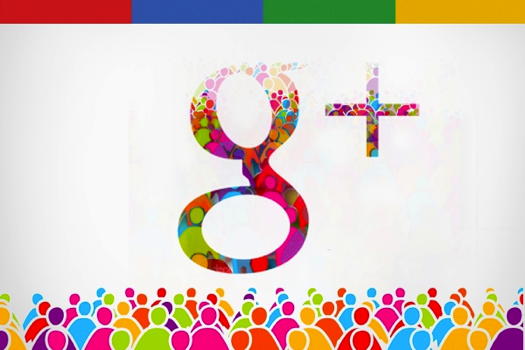 Did you know that there are more than 540 million active users that utilize Google+ every month? The reason for that is simple. Google+ offers a unique opportunity for businesses to connect with their customers. In this post, we are going to explore this unique opportunity and more importantly, steps your business can to help increase your benefit from it. Structuring your Google+ page is critical to your own success. Essentially, what you put in is what you are going to get out. Unsure where to start? Focus on your profile. It is important to fill out a complete profile so users can get the full idea and picture behind your brand and company. A half completed profile looks unprofessional and leaves users guessing at your information. Next step? Focus on providing sustained updates. It is important to be constantly providing updates around topics your audience values. This will enable you to build a virtual conversation them. The benefit? Over time a virtual conversation builds a relationship and trust ...and whom do we tend to do business with? Those we trust! Here are some of the tools to help you become actively engaged on Google+. Google+ has countless features in order for their users to create the most engaging page possible. Google+ hangouts are one of the key aspects of this platform. This is a great way for a company to interact with its consumers on a more personal level and help build a sense of community, trust, and positivity around your brand. It is important to promote these hangouts and make them public to allow customers to view them and to gain buzz around your brand. Using circles to segment your audience is another tool that can be beneficial. If you are looking to create specific content for different demographics within your customer base this is a great way to personalize information. Mixing in pictures and videos is another way to keep your audience involved and it adds another element rather than a simple post with text. 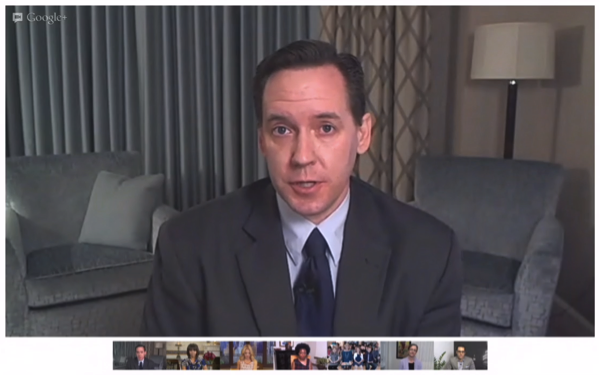 By using hangouts, circles, pictures, and videos, businesses can better connect to with their audiences with the ultimate objective being the ability to build relationships and trust. Hashtags help create added exposure for your business and will allow more users the opportunity to see your company on this platform. Create or join communities that are linked to your audience's interests in order to help you tap into those that would be most interested in what you have to offer. AuthorRank is a positive new tool on Google+ and should be used by all content distributers. Content written by established experts carry more authority, and ranks higher than content with less-credible authorship or no authorship whatsoever. People searching for information online will now start seeing highly ranked authors links at the top of their search. It’s a great way to boost your content on search engines. Google Webmaster Tools has a testing tool, which you can use to check whether your content has authorship setup. Timing+ is a very simple and easy to use Google+ extension. You will need to link your account to the application to receive the analytic data it provides. 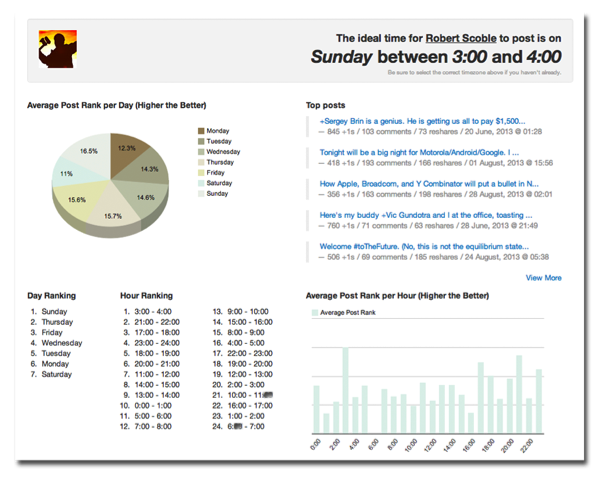 This feature uses your past 100 posts to tell you the perfect time of day to distribute your next post. One way to see growth through Google+ is to offer discounts or promotions on your page. This will give exclusive deals to fans of your Google+ page and will offer a positive incentive for staying in touch with your business through social media. However, offering discounts is just one way in which businesses see success. Reminding customers what you want them to do is another great tool. An effective call to action can convert a viewer into a lead. By adding this to your posts in a subtle way, you are creating a lead source for your business. A great example of a company doing this is Hubspot. The important aspect of social media is to generate conversation among your customers, which in return builds a buzz around your brand. This helps create social proof. People are more likely to listen to their friends than a stranger. When consumers are satisfied and constantly interacting with your business it builds a positive relationship. This gets passed on from individuals to their friends and families bringing back growth and success for your company. Adding the Google+ icon to your website is another way to build your fan base on your Google+ page, and as a result build your business. 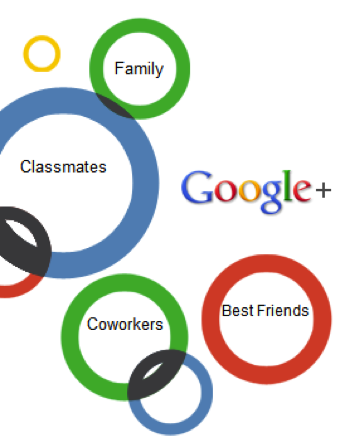 Google Plus is not just about getting lots of people in your circles and sharing content. It’s about getting involved in the right circles, sharing quality content and writing plus worthy material that is will be shared. In total, Google+ is a great way to spark conversation, generate trust and positive relationships, and help grow your business. In today's social world, there are many tools, tactics and strategies available for your business to leverage. We've shared some of our strategies for success in terms of using Google+, what are some of yours?